A marvelous, moving new collection of poems, Requiem, Rwanda has its roots in 2006, when Laura Apol made her first trip to Rwanda. Apol’s initial goal was to develop, in conjunction with Rwandan and American colleagues, a project using narrative writing to facilitate healing among young survivors of the 1994 genocide. During the time she spent leading workshops, Apol felt moved to write her own poems, and after the writing-for-healing project ended, she returned to Rwanda several times to continue her creative work. The legacy of the genocide—on the people, on the land itself—makes its presence felt in many of the poems. The poems are also accounts of Apol’s relationships with and understandings of people post-genocide—where their stories go, how they reenter their lives, and how a country that has been deeply wounded by its history continues on. These poems don’t shy away from exploring the complications of being a white woman, a Westerner, and a witness in this setting: Apol relates her sense of compassion, privilege, horror, guilt, voyeurism, obligation, and love. This new collection is a rich testimonial to the strength of a nation and its people. The collection includes a closing essay, "Writer as a Witness." Laura Apol is Associate Professor of Education at Michigan State University. Her poetry has appeared in numerous anthologies and literary journals, including a full-length collection, Falling into Grace. Her co-edited collection for young readers, Learning to Live in the World: Earth Poems by William Stafford, was the winner of a Hungry Mind Book of Distinction Award. Laura's book, Crossing the Ladder of Sun, won a 2004 Oklahoma Book Award. "As if breaking through the distracting cacophony of the outsider’s voice, of history, of landscape, of curiosities, there come these terrible grace moments of song from the voices of Rwandans—from their memories, their hauntings, their rituals of forgetting and remembering—and in them we are reminded of the blunt truth of a human tragedy that defies language. Apol holds these moments as sacred, and in so doing she, too, becomes a witness." "This is a book like no other: a small collection of remarkable poems, yes, but also an encapsulated history, a treatise on the healing power of story, a guide that will serve as a model on how to engage, respectfully, with cultures different from our own. Laura Apol is one of the most courageous writers I know. Her poems are heavy with the terrible history of genocide, but they are able to carry that weight because of her clarity, her humility and integrity, her poetic grace, and her belief, not easily gained, in the redemptive power of language. I love this book, and I applaud her talent and bravery. She makes me believe in poetry again. "Laura Apol’s poems resonate like tuning forks with their grief and anguish. She has perfect pitch. Apol has written the best poems about genocide since Paul Celan. 'Milkfugue' is a masterpiece." "In Mata (April), the month of milk, Rwanda became bloody. 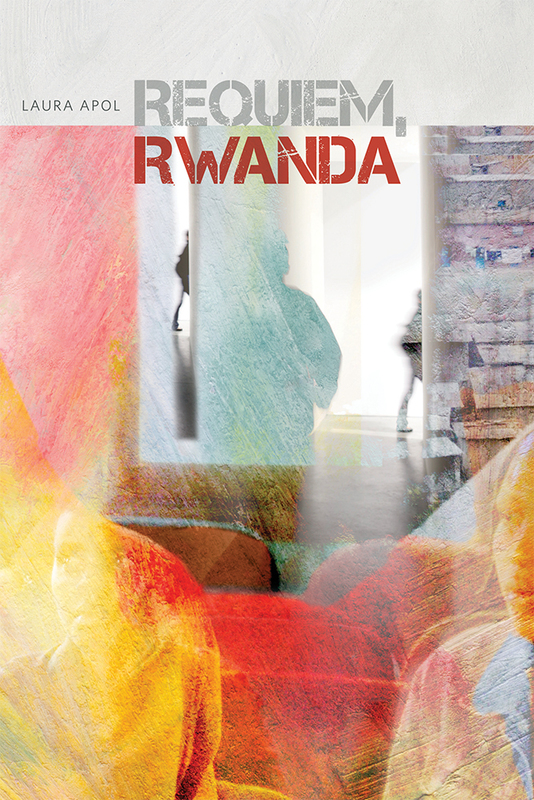 In this collection, Laura Apol succeeds in capturing the horror that devastated Rwanda more than twenty years ago, thereby making the Rwandan story legible to the wider world. In insisting on the healing aspect of writing, her poems demonstrate poignantly that to write is also to fight for life." ARTICLE: "The Power of Writing in Rwanda"